This app uses fun instructional videos (over an hour of short easily referenced videos) to teach how to easily set up a saltwater fish tank. Quickly learn in-depth knowledge about this fascinating aquarium hobby with fun videos and descriptive reference photos. 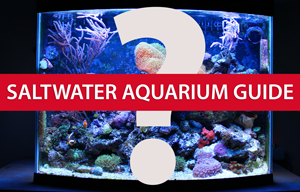 Understand saltwater equipment, water quality, live sand, live rock, tank filtration, and how to add invertebrates, corals and fish which are ideal for small saltwater tanks. This App features the Oceanic Biocube and the info can be applied to any small marine tank. For more information check out the preview page for this iPhone app. I’d try it out myself, but I’ve got a Droid rather than an iPhone, in case you’re wondering why I didn’t go further in depth.